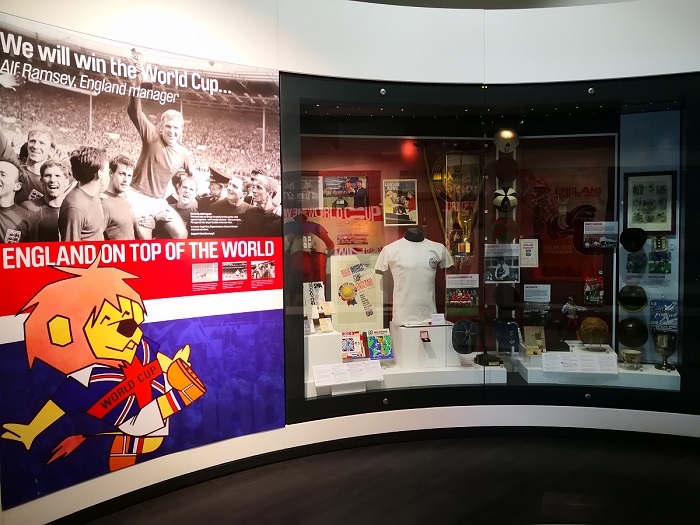 Following England men's joint-best World Cup run since winning the trophy in 1966, the National Football Museum has confirmed it will launch a major expansion and re-display of its permanent World Cup collection. The exhibition, which will open later this year, will place the 1966 World Cup final match ball and Jules Rimet Trophy won by England at the forefront of the display. And now it will be expanded to explore the legacy of that tournament, with England’s recent progression providing a suitable focal point to explore how fans have reconnected with the team. In recent years, it has, in fact, been the England Women’s team that has come closer to World Cup glory, and the exhibition will also explore the progress that the women’s game has made since the FA lifted its ban in 1971. As well as an area dedicated to exploring what happened to England’s 1966 squad after their playing careers ended, the ‘impossible task’ of being an England manager will also be covered. From Sir Alf Ramsey to Gareth Southgate, visitors will be able to learn about every England manager, and their sometimes turbulent relationships with the British media. Elsewhere, the museum will use its World Cup collection to build upon its work with older people and those living with dementia, with the development of resources to stimulate memories and conversations. 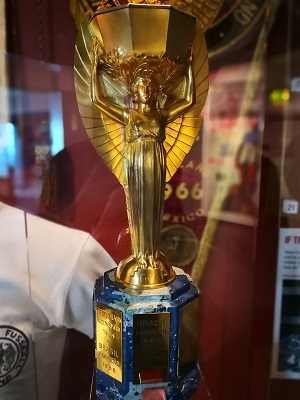 The FA's Jules Rimet Trophy, on display at the National Football Museum. Tim Desmond, Chief Executive at the National Football Museum, said: “We are delighted to announce we will be launching this major re-display of our World Cup collection. “Few would argue with the idea that England’s recent efforts in Russia have reignited the nation’s interest in the national team, and the time is right for us to re-examine the legacy of England’s one and only World Cup victory and how that has impacted on subsequent tournaments.